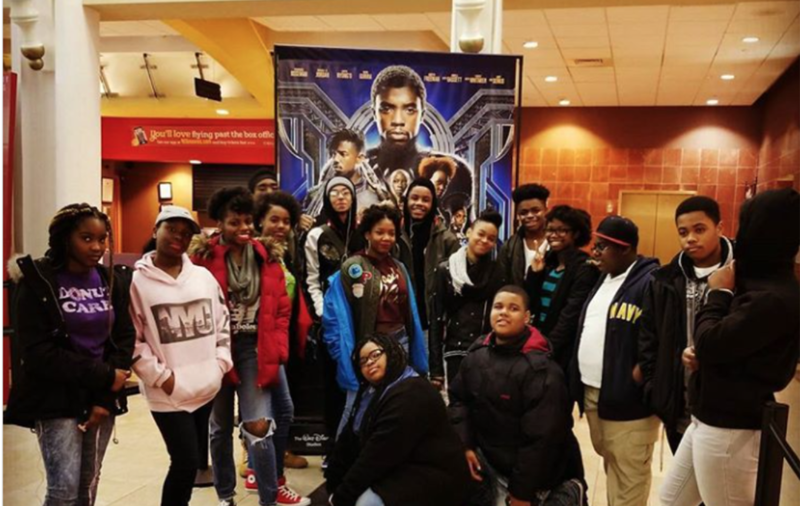 FEB. 26, 2018: On Friday, February 16, 2018, middle and high school students from Friendship Tech Prep, Collegiate, and Woodridge International Academies were selected to go to a premiere viewing of the fantastic movie “Black Panther”. As of now, Black Panther is the Number 1 Movie in the world. “Black Panther” is now my favorite movie. Not, just because it’s about the first black superhero, but because of the meaning of the movie which shows what black power is. It also shows black people that we can be successful, wealthy, and powerful. Many people ask questions such as, “How is Black Panther different from other superhero movies?” Of course, there are many obvious differences. For instance, Black Panther is the first black superhero. But, there are so many more differences that people haven't even paid attention to—such as people saying, “This is the only Marvel movie in history that really matters to all people”. Most superhero movies normally don’t have a clear message for the viewers, but “Black Panther” does—that black people can do anything, especially when we put our minds up to it. During and after the film, all of the students and staff who participated were really engaged, had great discussions and really learned what this movie was all about. Did you see Black Panther yet? If not, What are you waiting for? If you have, what did you think about the movie? Would this be a movie that you would want to see again? Write any thoughts in the comment section below! Sean Beach and R’Naisha Murphy are 9th grade scholars at Friendship Tech Prep Academy.